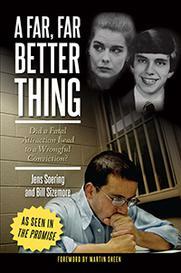 RICHMOND, Va. (CBS19 NEWS) -- Jens Soering, the former University of Virginia student convicted in a 1985 double homicide, was back before the Virginia Parole Board on Tuesday, this time with new DNA evidence and in-person testimony from two German diplomats eager to bring Soering back to his home country. 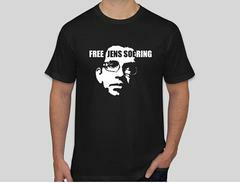 "We would like to see Jens Soering repatriated to Germany, and we would assume full responsibility for his future in Germany," said German Ambassador to the United States, Peter Wittig, at a press conference following the hearing in Richmond. Wittig was joined by former German president Christian Wulff. Both men hope new evidence will be enough to convince the parole board to release Soering, who is serving two life sentences in the deaths of his girlfriend's parents, Derek and Nancy Haysom. The fresh evidence comes from a new analysis of DNA collected from the Bedford County crime scene in 1985. It shows that blood at the scene came from two unidentified males, not Soering. No physical evidence ties Soering to the scene, and he has said he made a false confession after the crime believing it would spare his girlfriend, Elizabeth Haysom, who was also convicted. In late September, retired Charlottesville Police Detective Richard Hudson announced he agreed with the assessments of Soering's attorney and Albemarle County Sheriff Chip Harding that Soering is innocent. Both Hudson and Harding, as well as a nationally recognized DNA expert, have sent letters in support of Soering's pardon petition to Governor Terry McAuliffe. Following the Tuesday parole hearing, Soering's attorney Steve Rosenfield said he hoped the new evidence, and the testimony of Wittig and Wulff, would sway the parole board. "Maybe now this case will be viewed differently than it ever has been before," he said.